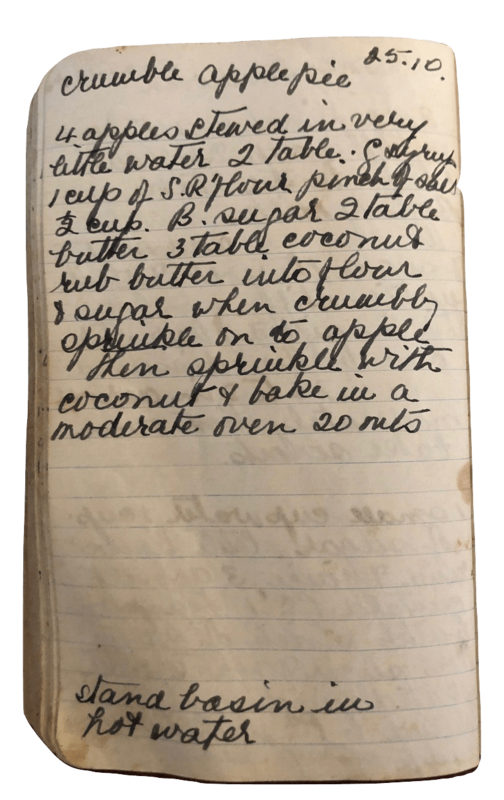 This recipe is an oldie (it’s from 1940) but it’s definitely a goodie. 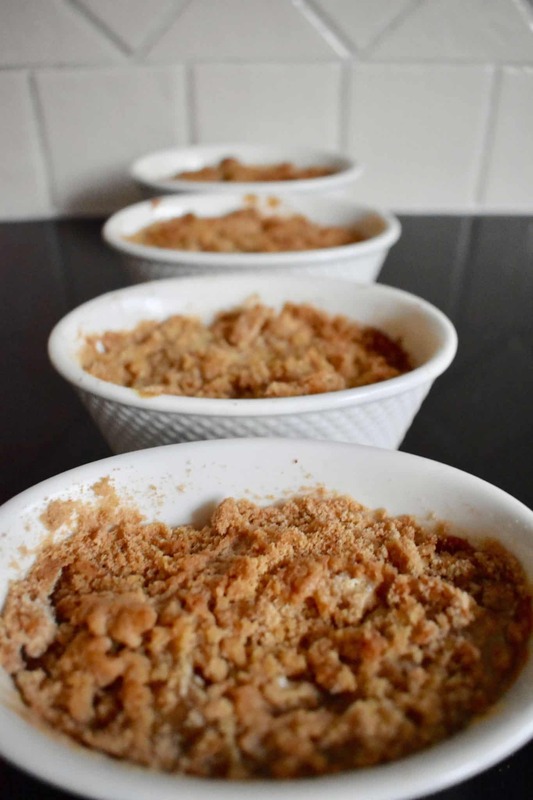 Nana Ling recorded this Apple Crumble Recipe at the height of its popularity. During the World War II era it was an economical alternative to a true pie with pastry. Today, of course, we still love this dessert. Especially when it’s served with ice-cream! 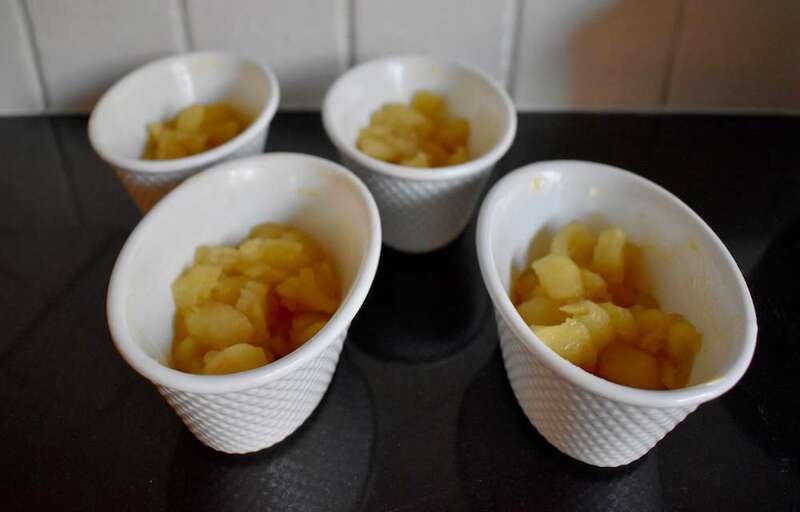 Ready to make Apple Crumble? First, you’ll need to select some apples. I used Braeburns, since they just happened to be in the fruit bowl. These apples are a great all-purpose apple for both eating fresh and cooking, and they keep their shape when cooked. 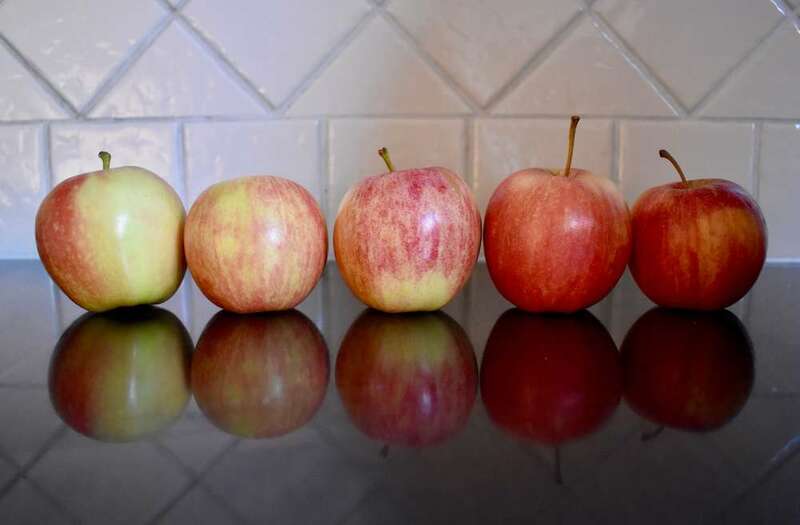 If you want to know whether the apples you have on hand are ideal for cooking, check out this handy guide. Nana Ling’s recipe uses just water and golden syrup in the stewing process. I was tempted to add some cloves or cinnamon but decided to stay true to her original recipe. We decided to make individual apple crumble desserts. But this recipe would work just as well served in one larger dish. After stewing, it’s time to add some crumble. 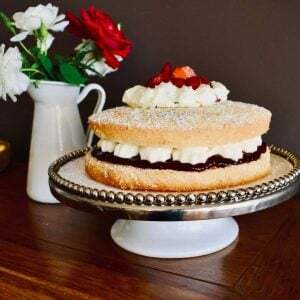 Butter, flour, sugar, salt and coconut are combined to a crumbly mixture. When putting this recipe together, the crumble layer should be about half as thick as the apple layer. Once cooked, the crumble becomes extra crumbly! 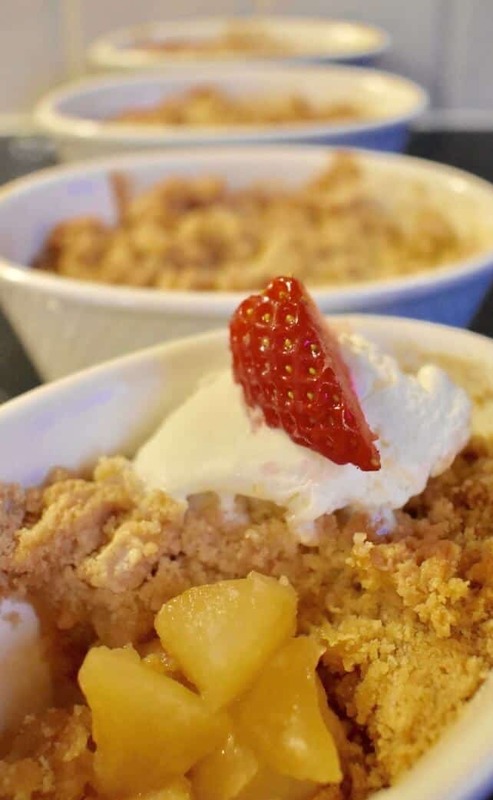 Serve the apple crumble warm from the oven with a scoop of ice-cream. Peel and core apples. Chop into pieces. 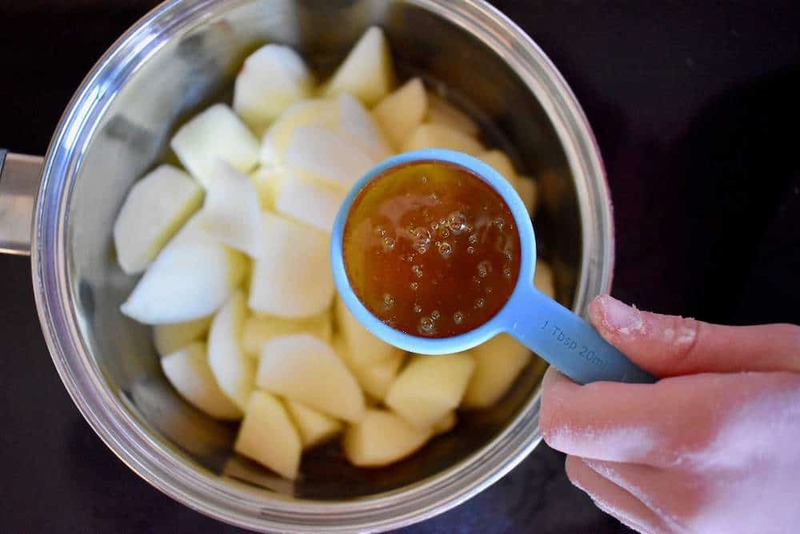 Add water and golden syrup to apples in a saucepan. Bring to the boil and then simmer gently until fruit is soft. Place stewed fruit into a dish (or 4 small dishes) that are greased with butter. 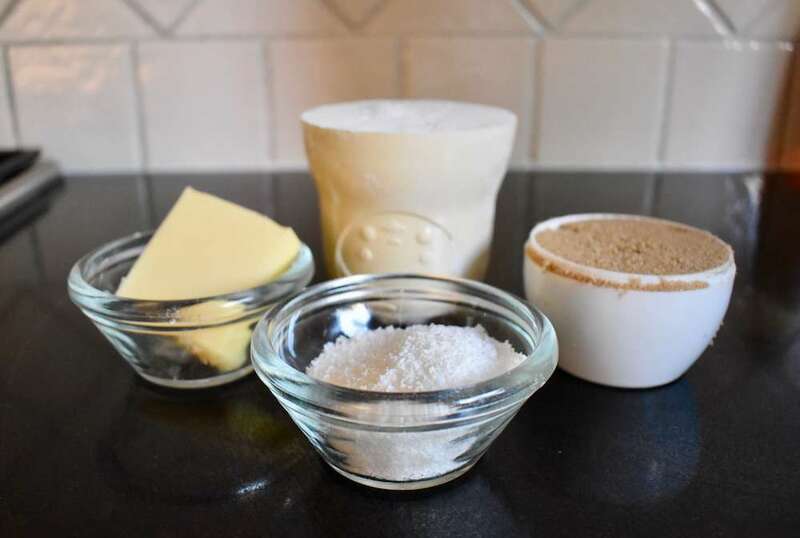 Rub butter into flour, salt and sugar. Sprinkle onto stewed fruit and then sprinkle coconut on top. Bake in a moderate oven for 20-30 minutes.